Have you ever looked at the night sky and been amazed by all the stars? Have you ever seen bats darting above your head when your sitting by the campfire roasting marshmallows? The warmer evenings are the perfect time to get outdoors and observe nature after the sun has set. 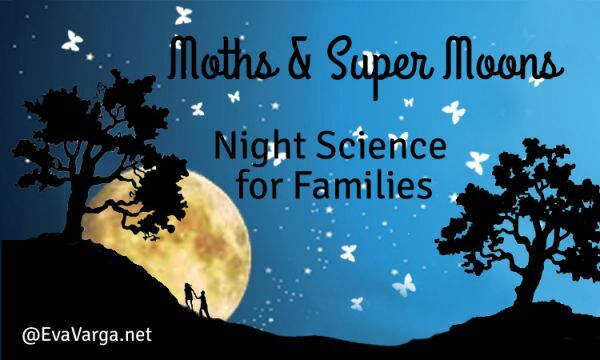 There are tremendous opportunities for night science activities throughout the summer months. National Moth Week offers everyone, everywhere a unique opportunity to become a Citizen Scientist and contribute scientific data about moths. Through partnerships with major online biological data depositories, National Moth Week participants can help map moth distribution and provide needed information on other life history aspects around the globe. The summer of 2014 also provides wonderful opportunities to learn more about our nearest celestial neighbor. The earth will be bathed in moonlight as three perigee “supermoons” occur in consecutive months: July 12, August 10, and September 9. The scientific term for the phenomenon is Perigee Moon, the point in the Moon’s elliptical orbit closest to Earth. Full Moons vary in size because of the oval shape of the Moon’s orbit. The Moon follows an elliptical path around Earth with one side (“perigee”) about 50,000 km closer than the other (“apogee”). Full Moons that occur on the perigee side of the Moon’s orbit seem extra big and bright. The Perseid meteor shower, one of the brighter meteor showers of the year, occur every August, peaking around August 9-13. The 2014 Perseid meteor shower will peak between August 10 and August 13. However, a waning Gibbous Moon (the Moon’s phase after a full moon) may make it harder for observers to see the shower. 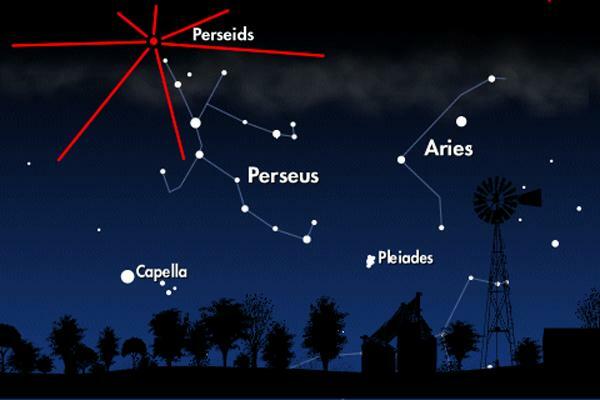 Consisting of tiny space debris from the comet Swift-Tuttle, the Perseids are named after the constellation, Perseus. This is because, their radiant or the direction of which the shower seems to come from lies in the same direction as Perseus. The constellation lies in the north-eastern part of the sky. Check with local astronomy clubs and park centers in your local area to learn more about public astronomy events. Join up with a park ranger for a guided moonlight kayak tour. Lay on beach or lake shore and enjoy gazing at the stars. How many constellations can you name? Go for a nature walk on the night of a full moon. Can you find bats or other nocturnal animals? Observe the moon each night for a month and record your observations in a moon journal. Get creative and include art and poetry as you feel inspired.